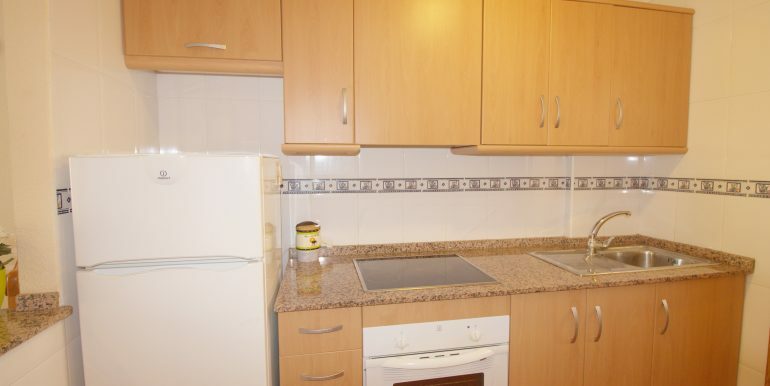 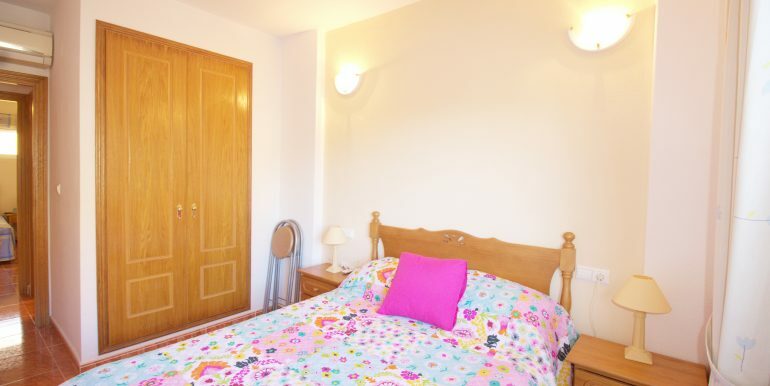 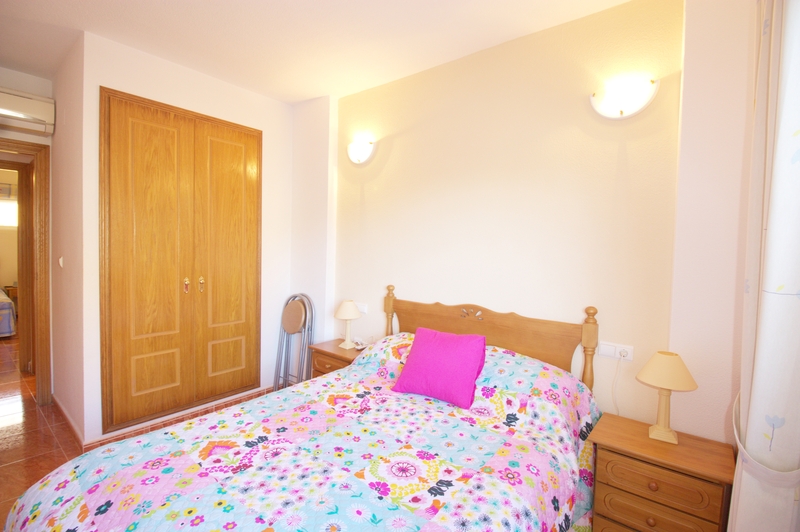 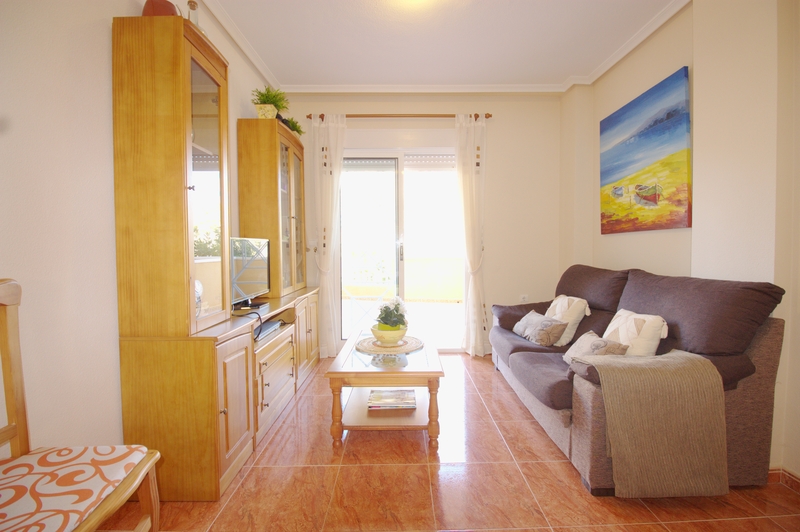 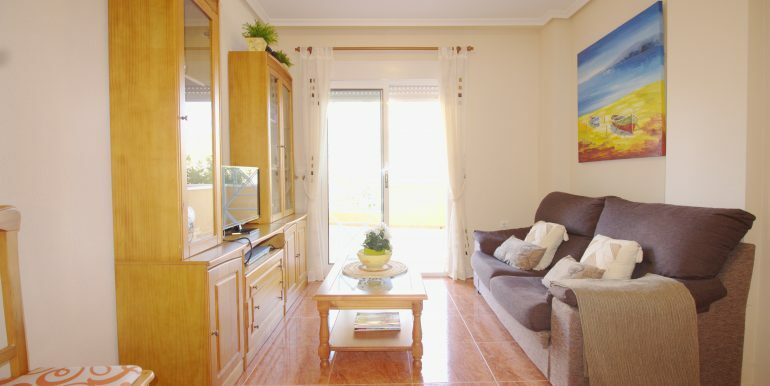 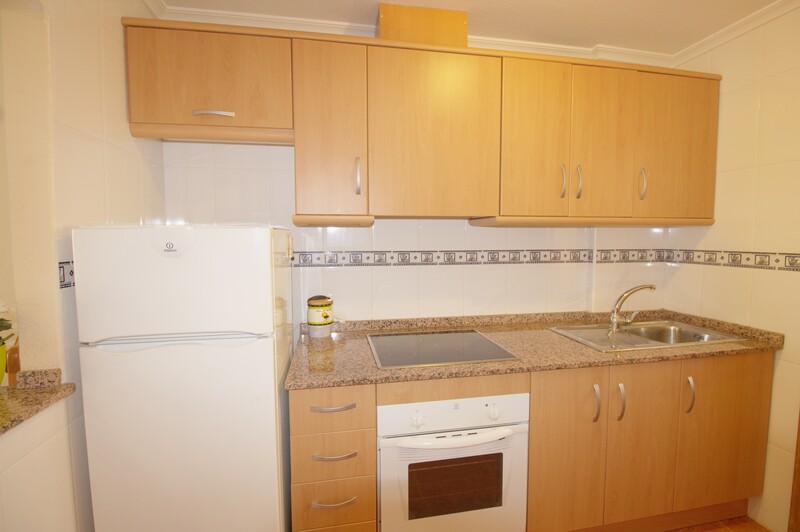 Cosy and beautiful apartment, ready to move in, completely furnished and with parking space. 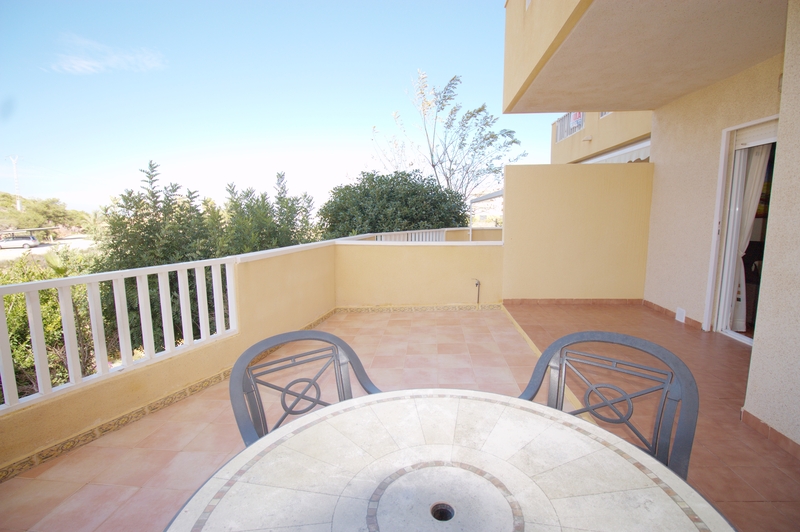 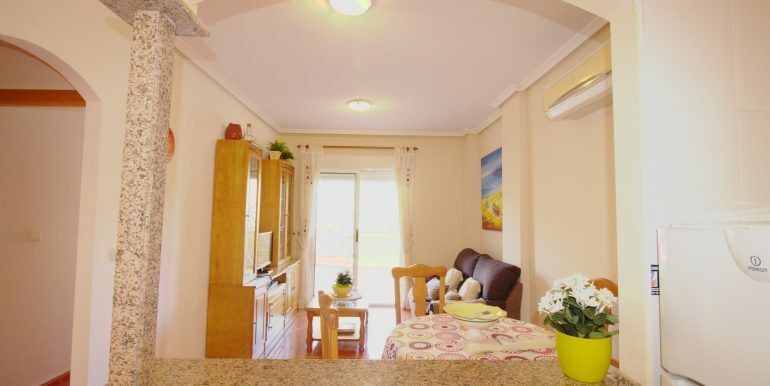 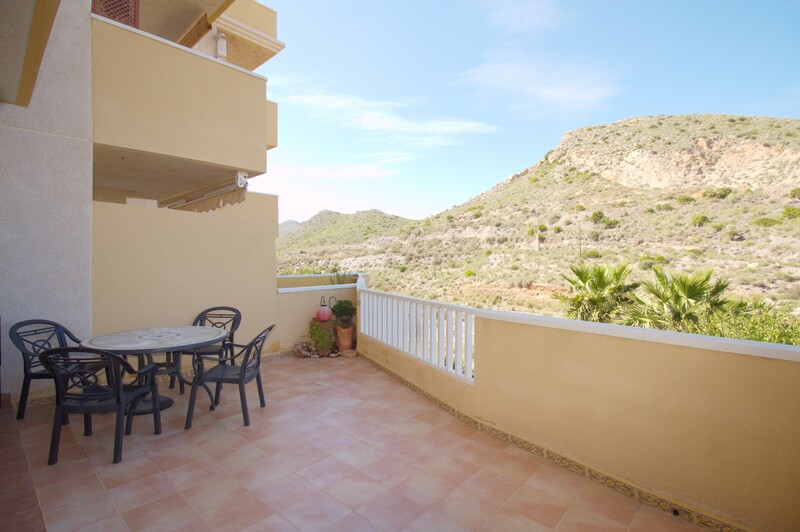 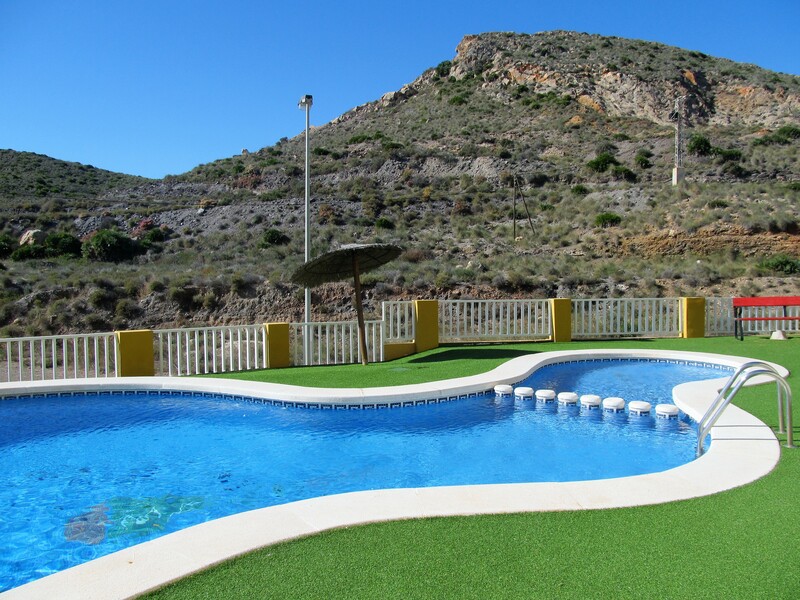 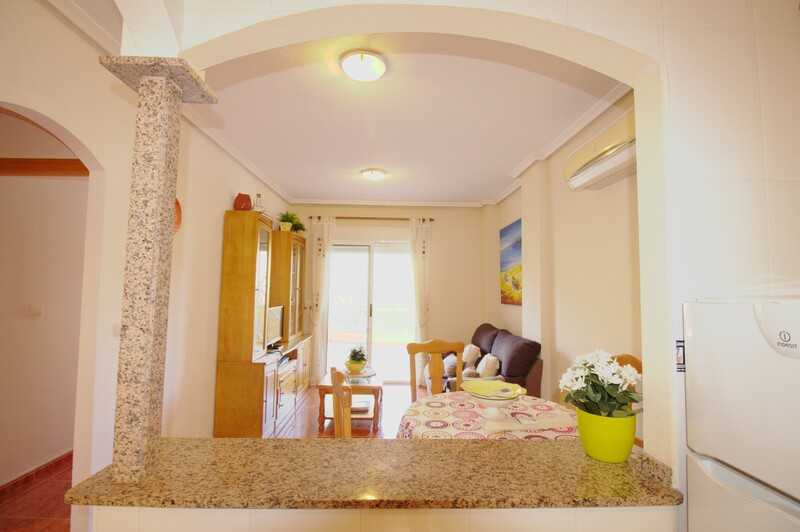 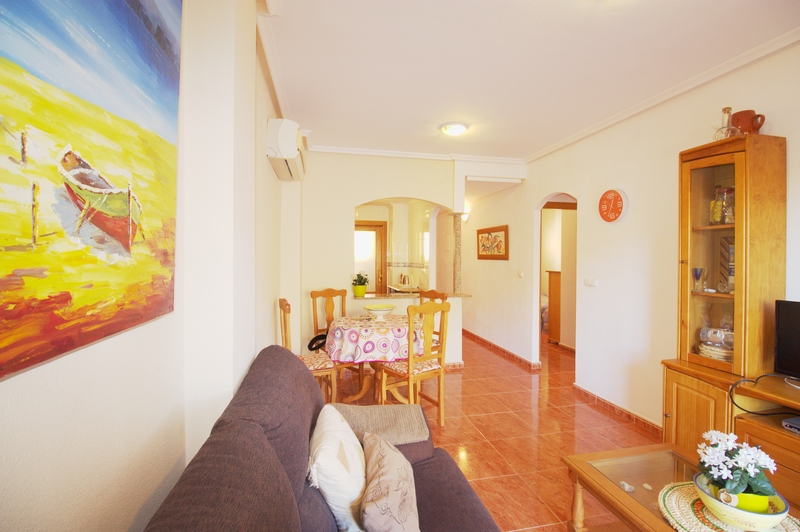 Two bedrooms / one-bathroom apartment with American kitchen, fully fitted and attached galley/utility area, bright living room with dining area and access onto an ample terrace that overlooks the hills which are part of Regional Calblanque Natural Park. 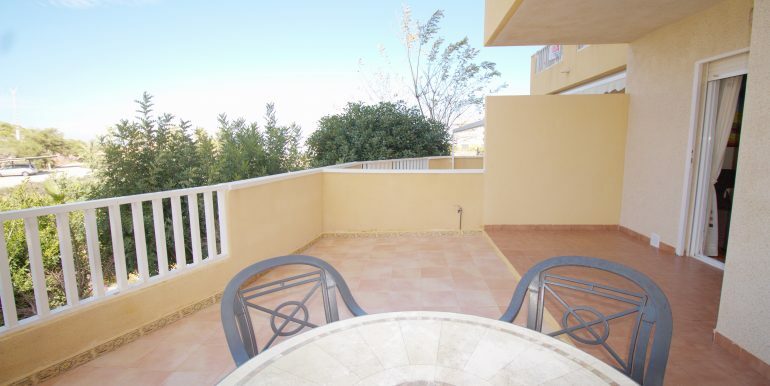 Sold as seen, including air conditioning, furniture and an exterior parking space in a secure gated area. 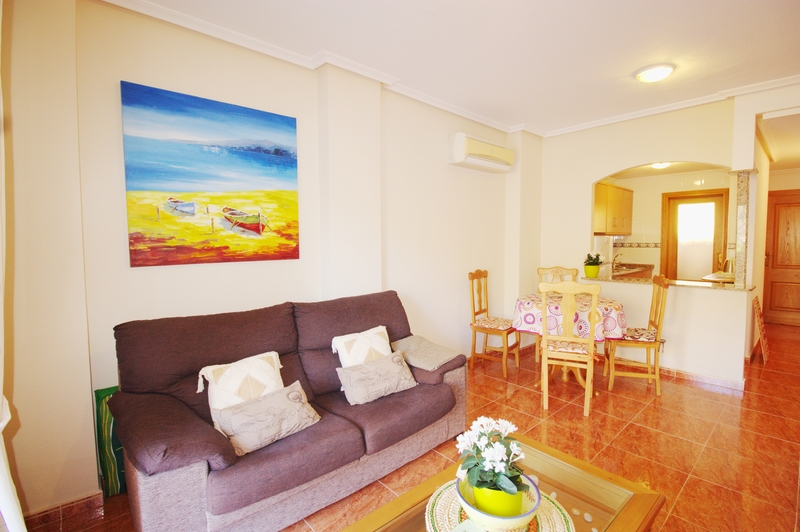 Located in the development of Parque Marino II, it benefits from the use of a communal pool. 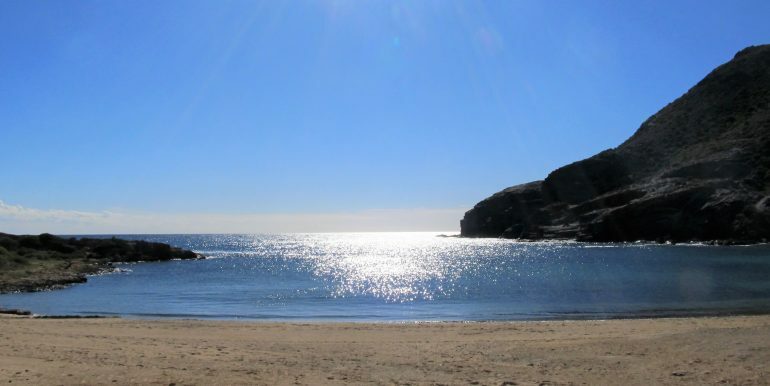 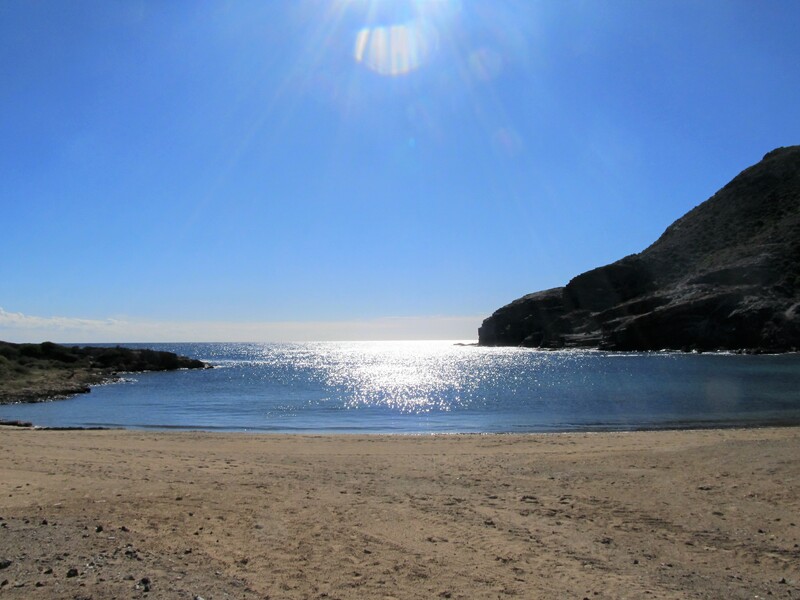 Not only close to the famous Cala Reona sandy beach, but also to the natural coves of Cala Flores. 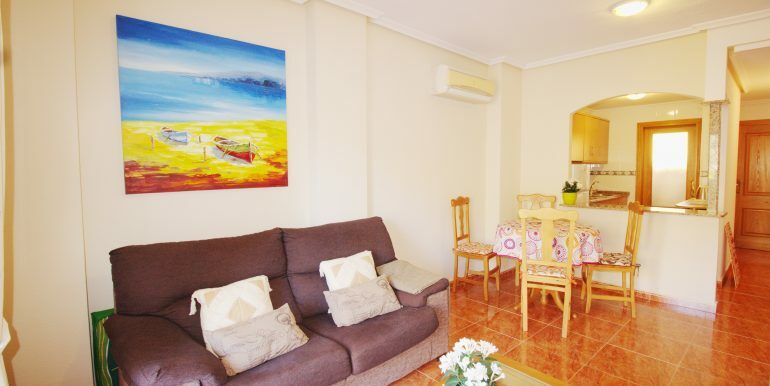 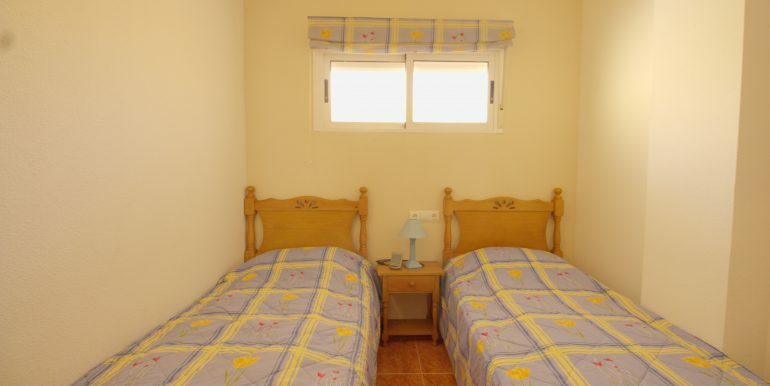 Conveniently situated in a calm area, the fishing village of Cabo de Palos is easily reached (1 km away), where all the services can be found including bars, restaurants, supermarkets, chemist and a health centre. 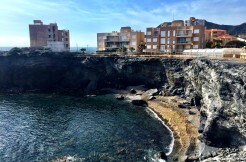 In addition, the large Eurospar supermarket is an easy 5-minute walk away. 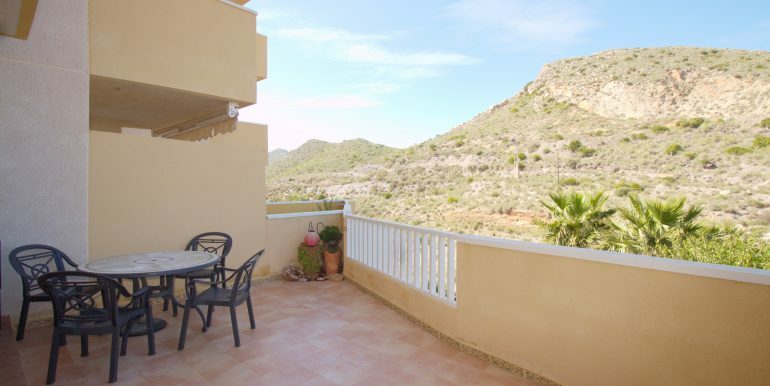 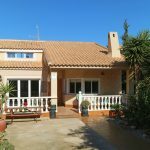 With direct access from the motorway and with the international airport of Corvera , only 53,8km away, this property could be a great option as a holiday home near the beach, or even to live in all year round having the chance to enjoy the good Mediterranean weather!